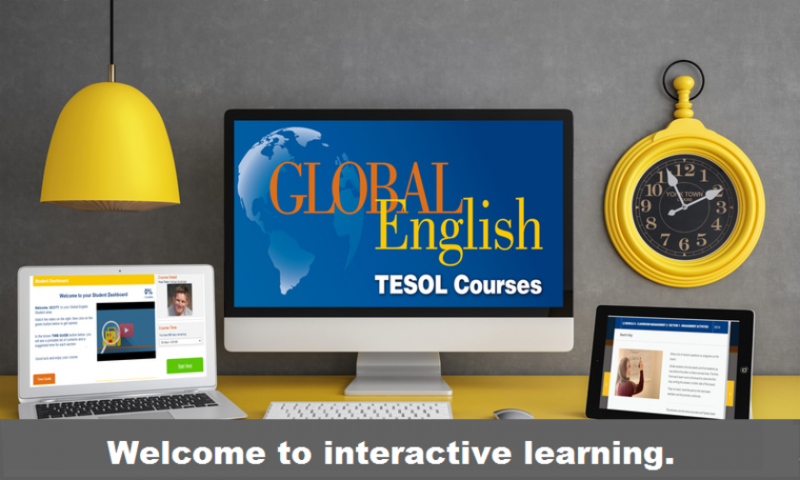 This traditional online TEFL course is for you if you are looking to start your TEFL career, either through serving as a volunteer or working at a language school. It offers great value and fantastic resources. Whether you're thinking of using a TEFL qualification for mission or employment, this course gives you the platform to get qualified and start teaching quickly. The 120 hour programme is great if you are looking to get trained so you can volunteer in a mission capacity or qualify to teach in a language school around the world. Working alongside an experienced Christian TEFL tutor, you proceed through the course at your pace, with continuous assessment tasks and tutor-marked feedback. 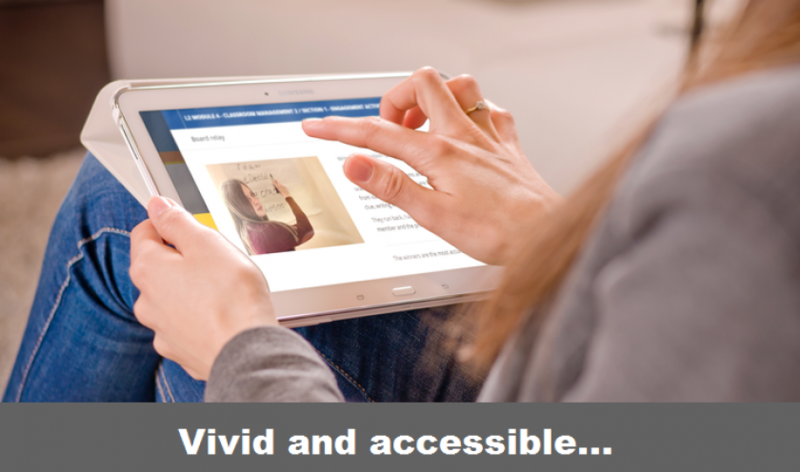 You'll find excellent video teaching segments, podcasts and materials that allow you to explore some of the top EFL material on the web today to keep you interested & motivated. 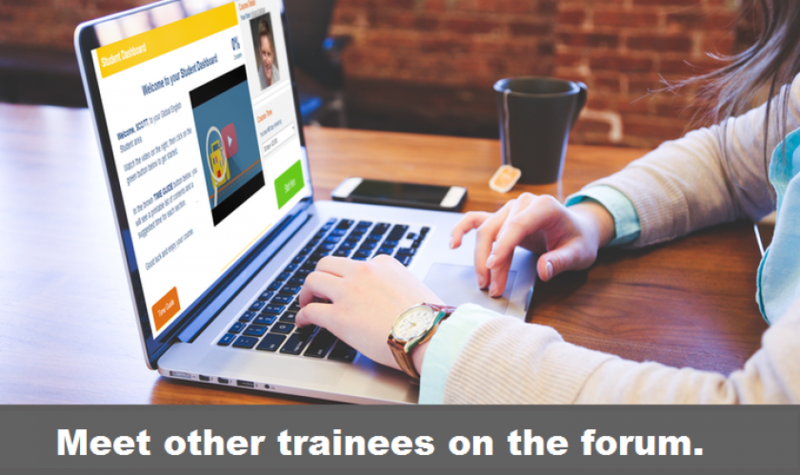 Benefit from shared learning experiences from our online TESOL forum, with ongoing assessment and no final exam. "Kerry was really helpful in her feedback. The course was brilliantly structured and the content well organised. I never realised how little I knew about my own language, and now I feel confident teaching it to others." This course usually takes between 6-12 weeks to complete, but we go at your pace and allow up to 6 months for course completion for maximum flexibility. Some people have completed it inside 14 days. It's entirely up to you. This course covers all the 120 hours of material in 34 shorter modules, using interactive HTML5 to present information, with trainees answering questions online. The material cannot be downloaded and worked on offline. A good internet connection is needed. "I really enjoyed the course, its content, the ability to work flexibly and the way it equips you to teach EFL." "I'm really glad that I did the Christian TEFL 120 hours course. The material is excellent and my tutor marked my modules in good time and provided some excellent advice. 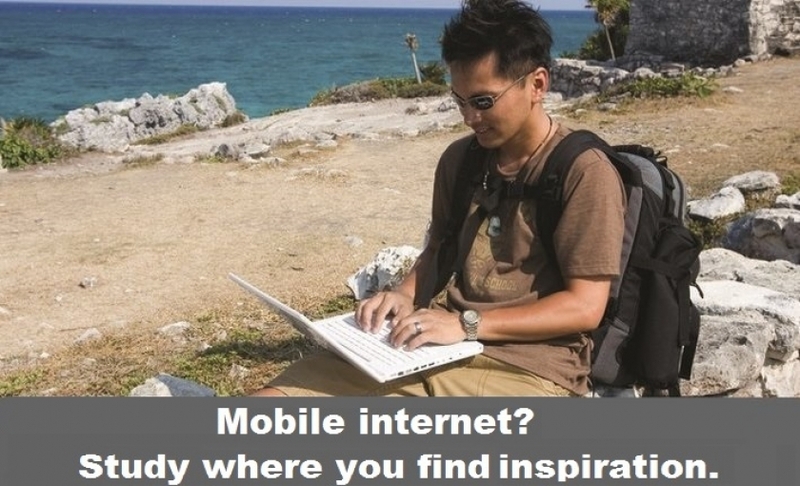 This must be one of the best distance learning TEFL courses available - thank you!" A Global English PDF certificate is awarded upon successful completion. A printed, embossed version is also available for an extra fee (£15 in the UK, £20 outside) from our TEFL shop page. 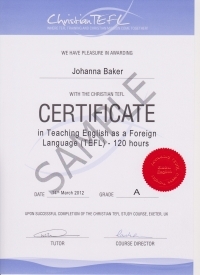 An optional Christian TEFL 120 hour printed certificate is also available for an extra fee (£15 in the UK, £20 outside).